The Progressive Conservative gains in Toronto and the Greater Toronto Area alone were enough to win Doug Ford a majority government. 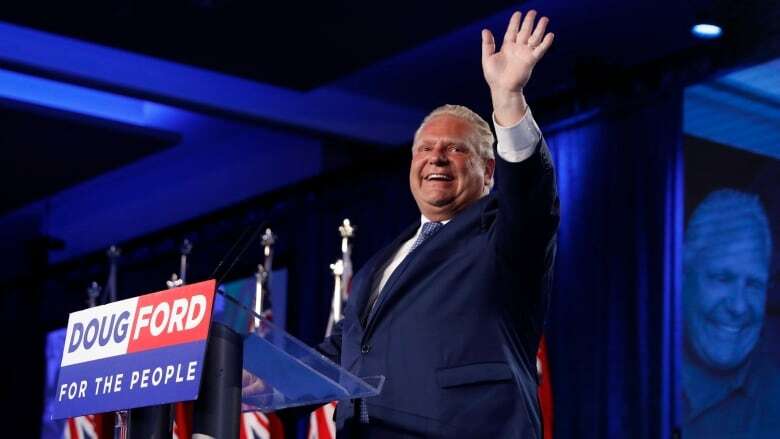 Doug Ford's Progressive Conservatives won Thursday's election in Ontario thanks to significant increases in support across the province. But the Greater Toronto Area played the biggest part in pushing the party over the top. It was also the GTA that kept the New Democrats from making the breakthrough the party was looking for. With 40.6 per cent of the vote, the Progressive Conservatives won 76 seats — well above the 63-seat threshold needed for a majority government and the most seats the party has won since Mike Harris's victory in 1995. Andrea Horwath's NDP had a strong showing by the standards of the party. The NDP and its Co-operative Commonwealth Federation predecessor had only formed the Official Opposition in the province four times previously — and only twice captured more than 30 per cent of the vote. With 33.7 per cent and 40 seats, Horwath is responsible for the NDP's second best result ever. The Liberals fell to an all-time low, with just seven seats and 19.3 per cent of the vote. But the story of the PC victory was in the efficiency of the party's vote and its success in taking advantage of the Liberal collapse where it mattered most — in the seat count. Compared to where the party stood at dissolution (and taking into account the increase in the electoral map from 107 to 124 seats), the PCs gained 41 seats. Nearly all of them were won in Toronto and the surrounding suburbs. In Toronto itself, Ford's PCs picked up 10 more seats thanks to a nine percentage point increase in support. That put the party in second place in the city with 33 per cent — roughly equal to Ford's performance in the 2014 mayoral election — and allowed them to tie the NDP in total seat wins at 11. In the Greater Toronto Area, a ring of communities around the city running from Durham in the east to Halton in the west, the PCs gained 23 seats and 13 points, dominating the region with 46 per cent of the vote and 26 of the 30 seats up for grabs. The party picked up eight seats in the rest of the province, half of them in eastern Ontario. But those wins weren't needed — the seat gains in Toronto and the GTA were more than enough to secure a majority government. The NDP had success in expanding its support in Toronto, finishing first with 36.5 per cent — a gain of 15 points. It's the first time the New Democrats have won the popular vote in the provincial capital since 1990. By night's end, voters in Toronto delivered nine new seats to the NDP. But the party was not able to make the same kind of breakthrough anywhere else in Ontario. The nine gains in Toronto matched the party's total gains in the rest of the province. 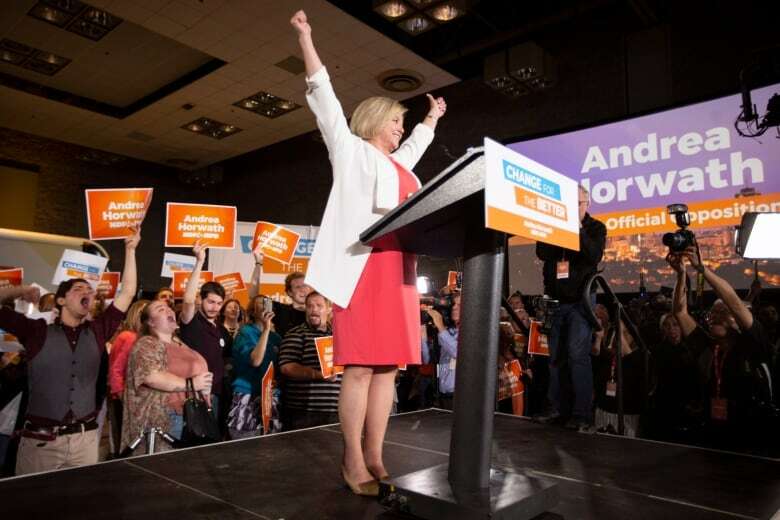 Despite the NDP increasing its support provincewide by 10 percentage points — more than the PCs' nine-point gain — it was unable to turn that new enthusiasm for the party into many victories at the riding level. In Mississauga, the NDP saw its support jump by 10 points. But the PCs saw support increase by 13 points and swept the city. Both parties made a 12-point gain in Scarborough, but the PCs were rewarded with three more seats in the area, while the NDP could content itself with just one. It was the same story in Ottawa, where a 16-point bump for the New Democrats resulted in only one more seat. The PCs lost two points in the city, but matched the NDP for seat gains thanks to the fall in Liberal support. An inefficient vote for the New Democrats wasn't the only problem. The margin between the PCs and the NDP provincewide was seven points — far too wide when a victory was not even in the cards for the New Democrats had the party been tied with the PCs in the popular vote. Instead, the momentum that pushed Horwath into contention petered out by the end of the campaign. In fact, the final polls conducted in the last hours before voting began showed the New Democrats slipping back. Had the campaign ended a week earlier, the NDP might have had a better chance at winning. It was always going to be a long night for the Liberals. The best-case scenario was the party holding onto eight seats — the bare minimum needed to retain official party status in the Ontario Legislature, which awards parties more resources and speaking time in question period. Though Liberal Leader Kathleen Wynne, dethroned as premier, was re-elected in her own riding, the party fell one seat short of its goal and was handed its worst defeat since Confederation. It won eight seats in 1951 under Walter Thomson and 21.8 per cent in 1923 under Wellington Hay. Wynne's performance sets a new low in the historical record. The Liberals almost managed to hang on to that coveted eighth seat. Just 81 votes cost the Liberals the riding of Thunder Bay – Atikokan, votes that will prove costly when the party's budget at Queen's Park is slashed. The Green Party, on the other hand, can call it a good night even with victory in just one riding — the first seat in the province in party's history. This was an entirely local victory, however. In his second run at the riding, Green Leader Mike Schreiner was elected in Guelph with a 26-point improvement on his 2014 result. But the Greens had no other successes. Provincewide, their vote share actually fell by a tenth of a percentage point. Following the model used with some success by its provincial and federal cousins in British Columbia, New Brunswick and Prince Edward Island, the Greens focused on getting the party leader elected. The gamble paid off for Schreiner, but nowhere else did the party finish better than third place. And what of the polls? Pollsters who stayed in the field to the last moment had the best results, but broadly speaking, the PCs slightly outperformed the polling, while the NDP largely fell short of its numbers. The Liberals and Greens did about as expected, while all of the results fell within the confidence intervals of the CBC Poll Tracker. Public opinion surveys effectively told the story of the rise of the NDP, the decline of the Liberals and the potential that Ford's PCs had for a big majority — a potential that was realized in dramatic fashion on Thursday.